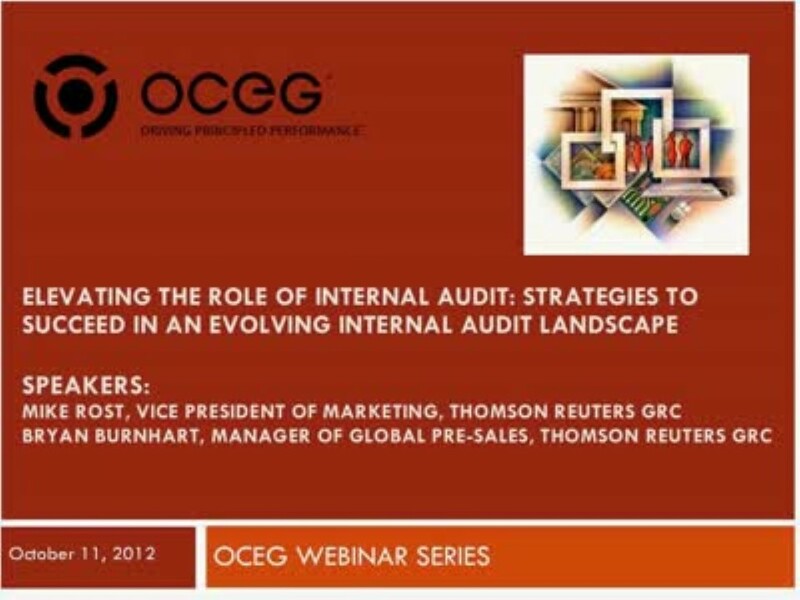 The organizational scope of internal audit is rapidly changing. Internal audit professionals are experiencing greater demands to help their organizations improve processes and ensure proper risk management and internal controls are in place. A quick self assessment of your audit organization and processes will likely reveal many areas with room for improvement including working more efficiently with other internal assurance groups. We have emailed instructions to access Elevating the Role of Internal Audit: Strategies to Succeed in an Evolving Internal Audit Landscape to . Make sure the email arrives in your inbox: either add "support@oceg.org" as a safe sender to your email platform, or if you use Gmail, drag our email into your Primary tab.